Get a 10% discount at their site: CLICK for DETAILS on our EXTRA REBATE. Call or email to discuss your concerns.. NOTE: Magnets and other forms of magnetic therapy help with pain. Pain has a purpose - it alerts us to a problem. Be sure that any problem is being correctly treated (consult your physician). Do not assume that because the pain is better that the problem is also better. Encased Ceramic Block Magnet 4" by 6" by 1/2"
Magnetic Lumbar Pad 7" x 9"
Flexible Magnetic Therapy Pad 5" x 8"
Magnetic Therapy Pad 7" x 9"
Flexible Magnetic Therapy Pad 4" x 5"
Flexible Magnetic Treatment Pad 4" x 5"
Confused? You can still get discounted SOTA products - directly - CLICK HERE or call 1-800-224-0242 and give code: CA50026. When you click the link above, select the option to join the SOTA community and then follow the instructions shown to you. After you receive your products from SOTA, send a copy of your receipt to our mailing address and get a rebate ! See details HERE. The opinions stated are the views of HealingRainbows and do not represent the opinion of SOTA Instruments. The SOTA units are consumer products designed for relaxation, well-being and to complement a healthy lifestyle. The SOTA units are not medical devices nor are they intended to diagnose, treat or cure any medical or health condition. The use, safety or effectiveness of the SOTA units, has not been approved by any government agency. Please consult a health practitioner for any medical or health condition. Results are not typical. Click here for an explanation of the differences between the Silver Pulser, the Zapper, and the Magnetic Pulse Generator. Please note that the SOTA silver pulser does two main things (is a dual device) - it generates colloidal silver AND it is a blood purifier. Instructions online usually have you making one or the other of these. If you can not afford the SOTA unit (SP5), you may still be able to locate the SP lite - some people still have these for sale even though SOTA is not selling them anymore (they are smaller and have a shorter warranty). Any device that you make yourself, is totally at your own risk. If you come to harm from using it, nobody is liable except yourself - the components you use and the skills you have to execute the plan are both risks. 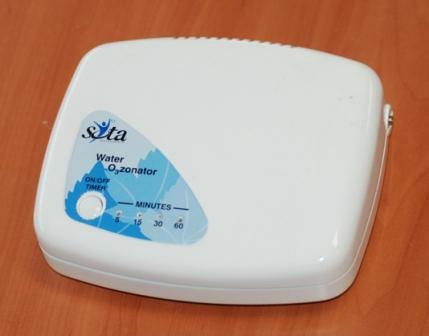 If your goal is to make silver water at home (and you don't mind buying a device to do that) you probably just want to buy the SOTA silver pulser. This saves a lot of money if you have been buying premade silver water.